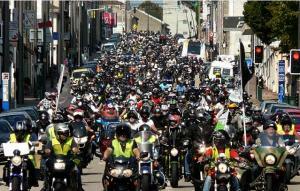 French bikers protest again en masse against internal proposals by their government. 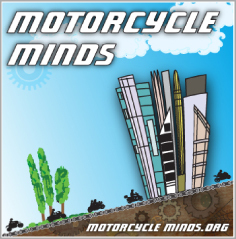 For the third time this year, France has been the scene of enormous demonstrations this weekend, where thousands upon thousands of angry bikers took over every town and city nationwide, a real slap in the face of the French interior minister, Claude Guéant. Facing a deaf government despite previous demonstrations on 18 June 2011 gathering almost 100,000 protesters all over the country, French bikers continue to express their radical opposition to a series of government proposals, designed by Claude Guéant, to treat motorcyclists like cash cows rather than recognise that motorcycles are the golden solution to environmental and congestion issues and also offer a cheaper, faster and more reliable mode of transport, especially for those in a weaker financial situation. 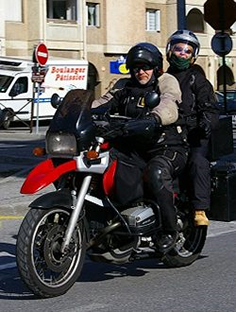 The Fédération Française des Motards en Colère (FFMC – French Federation of Angry Bikers), through its highly effective network of branches all over the country, called all motorcyclists based in France and beyond to go down the streets and protest en masse on 10th and 11th September 2011, against the French government’s continued attitude to treat bikers like cash cows.